Q. How does the 'Tag This Photo' feature work? A. 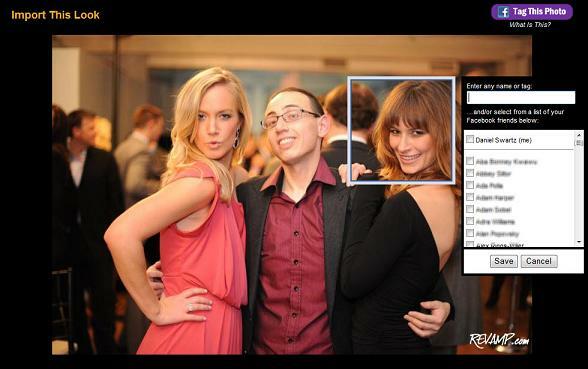 Thanks to our partnership with Facebook, REVAMP.com members now have the ability to tag both themselves and their Facebook friends on www.revamp.com. Q. Do I have to do anything to enable this feature? A. Nope, but you do need to be logged-in to REVAMP.com using an existing Facebook account. Q. What if I already have an account on REVAMP.com that isn't linked to Facebook? A. We're sorry, but you'll have to create a new account on REVAMP.com using your existing Facebook credentials in order to tag photographs. Q. 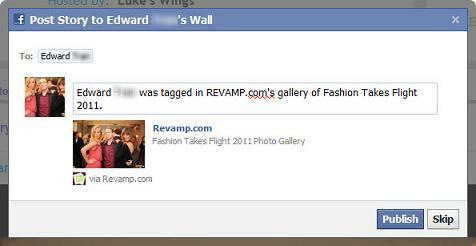 When someone tags me on REVAMP.com, does something get published to my Facebook wall? Q. What if I want to remove a tag to which I've been linked? A. Both the person who initiated the original tag and the person being tagged can remove it at anytime. Please note that you must first be logged-in to REVAMP.com using an existing Facebook account before you can remove a tag. Simply being logged-in to Facebook, without also being logged-in to REVAMP.com, is not sufficient to remove a tag. Q. Help! I'm still lost and confused.